Home appliances such as the refrigerators play an essential role in our homes and other areas like a restaurant. Although these devices are crucial, we cannot ignore the fact that they also consume a lot of power. A refrigerator consumes twice the power of other home appliances like the TV. But you can easily save up and reduce the high rate of power consumption especially on seasons like winter where there is no much refrigeration required. Below are some vital tips to guide you in saving up energy and money with these operating appliances. ○	Sometimes we tend to overlook the importance of the rubber seal that is located on the door of the refrigerator, but it plays a huge role too. The primary purpose of the seal is to ensure that the door is entirely closed and no air can enter the fridge. With time this rubber is bound to weaken and even tear mainly due to the constant opening of the fridge door. If this gadget gets damaged, the unit tries to maintain its standard functioning by increasing the power consumption. Therefore to avoid this, make sure that you regularly check the seal band and if you notice it is loose or worn out, replace it instantly. 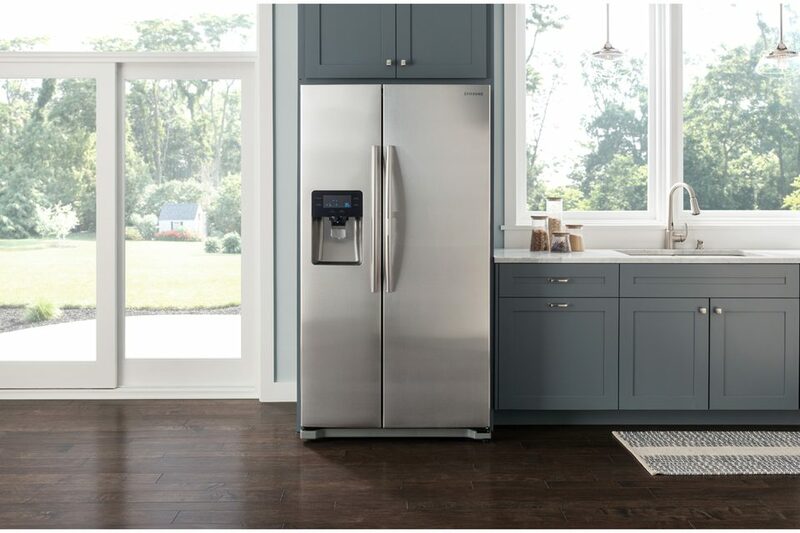 Hire a repair company like Fresno Appliance Repair to help you determine the appropriate seal band for your fridge brand. ○	If the refrigerator is kept near other heat sources, it tends to overwork to ensure that the food is chilled. If the fridge unit is overworked, it results in more power usage which leads to increase in electricity bills. Therefore prevent this from happening by ensuring that the fridge is kept in a cool place. Also, make sure it is not pushed to the walls. ○	Condenser coils are located at the lower back part of the refrigerator, and they work to facilitate the functioning of the unit. If the fridge is used for a long time, dirt and other debris tend to pile up thus blocking the condensers. If these parts are stuck, they end up using twice the electrical power to enable them to work well. Clean up the coils twice a month to make sure they are free from any blocking items like the dirt or debris. ○	Always ensure that your leftovers are cooled before putting them in the refrigerator. This is essential as it saves on power usage by chilling the food fast as compared to when you put warm foods. ○	It is always advisable that you keep the door of the fridge closed to save up on energy consumption. This is because when the door is opened, the chilling air escapes hence causing the unit to overuse the electricity to replace the lost air. So, to avoid this, make sure the fridge is always closed all the time. If you have noticed that your electricity bills have gone higher, than usual or you would like to reduce it, use the above tips to cut on the power consumption of the appliances in the house. These guidelines are easy to follow plus you will not incur a lot of costs in employing them. Also, if your fridge is empty, switch off the power unit to save on power usage.